Last month, the government announced nearly 2 trillion yuan ($297.27 billion) in additional tax cuts to ease the pressure on corporate balance sheets, while authorities are pressing banks to keep lending to struggling smaller firms. The consumer price index (CPI) in March rose 2.3 percent from a year earlier, a five-month high, largely due to higher pork prices as the spread of African swine fever prompts farmers to cull their herds. That was more than a 1.5 percent increase in February but just below market expectations for a 2.4 percent rise. Pork prices rose 5.1 percent in March from a year earlier, the first increase after a 25-month declining streak. On a month-on-month basis, CPI rose 1.2 percent. Some analysts forecast pig production in China, which eats about half of the world's pork, will fall by around 30 percent in 2019, which would send meat prices soaring. 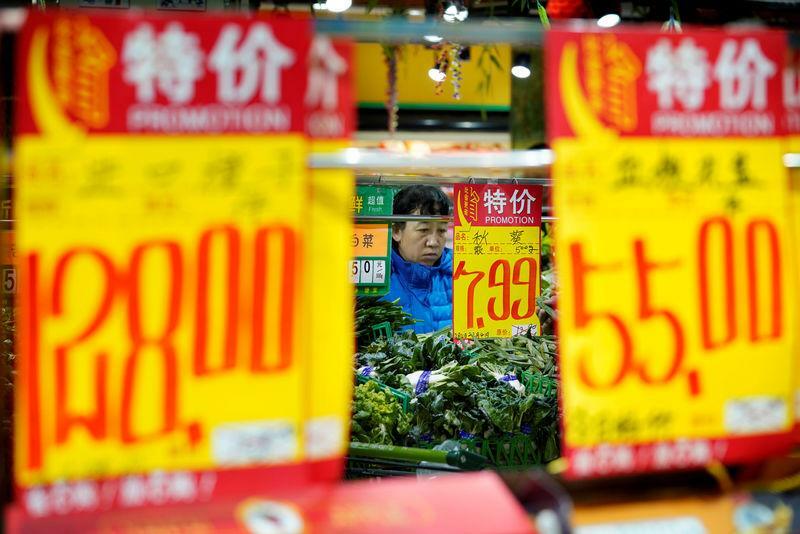 But economists say the central bank is unlikely to overreact to a food price spike if it appears temporary and core inflation, which strips out volatile energy and food prices, remains steady. Non-food consumer inflation was 1.8 percent on-year, just a touch more than February.